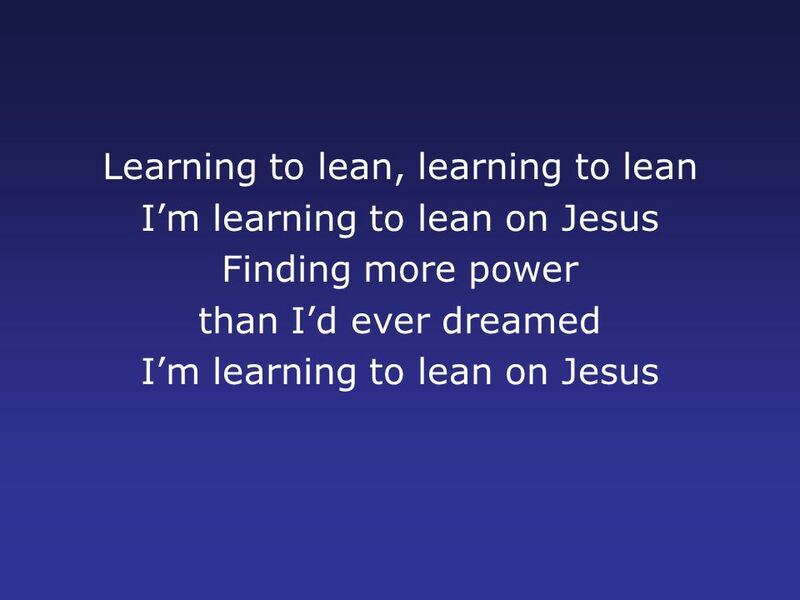 Learning To Lean Learning to lean, learning to lean I’m learning to lean on Jesus Finding more power than I’d ever dreamed I’m learning to lean on Jesus. 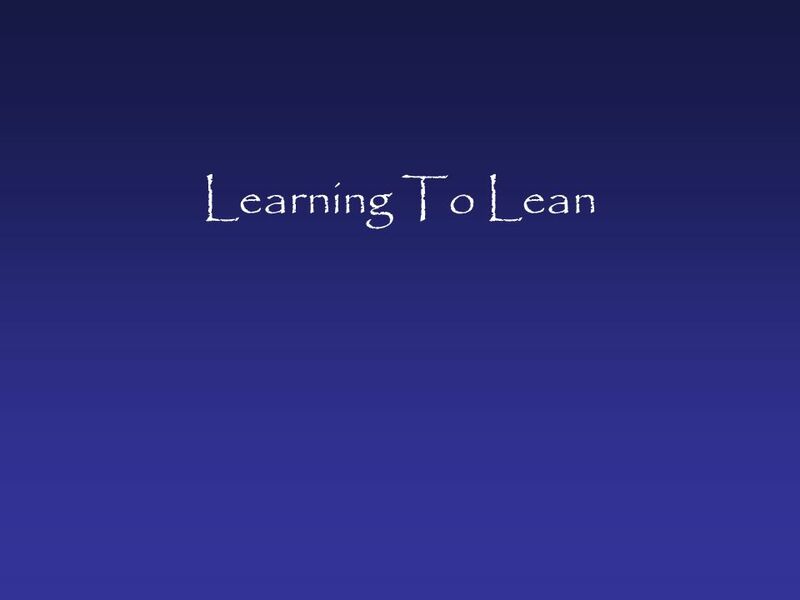 Download ppt "Learning To Lean Learning to lean, learning to lean I’m learning to lean on Jesus Finding more power than I’d ever dreamed I’m learning to lean on Jesus." Agnus Dei. Agnus Dei Are You Lord God Almighty Holy holy Are You Lord God Almighty Worthy is the Lamb You are holy. Psalm 4:8 I will not be afraid I will not be afraid of the darkness I will not be afraid I am resting in You. CCLI Blessed be Your name In the land that is plentiful Where Your streams of abundance flow Blessed be Your name. 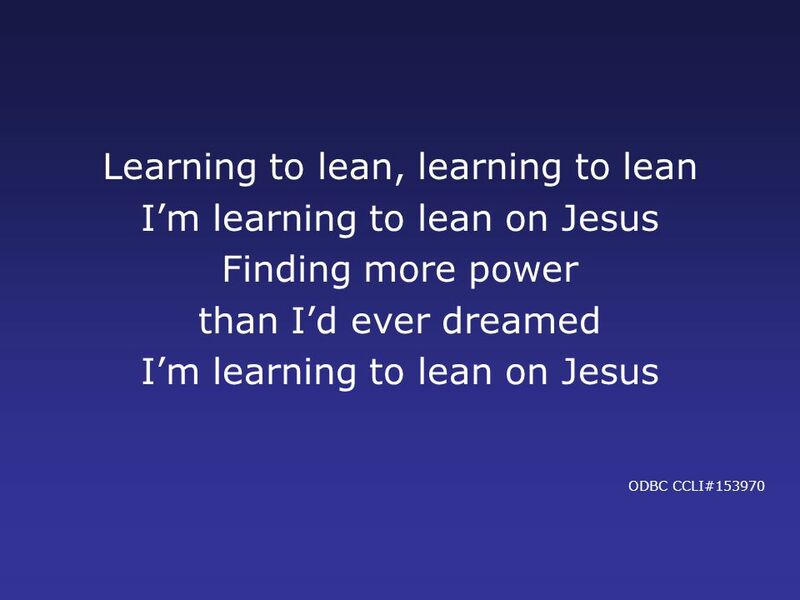 I’d Rather Have Jesus I’d rather have Jesus than silver or gold I’d rather be His than have riches untold I’d rather have Jesus than houses or lands. Blessed Be Your Name Blessed be Your Name In the land that is plentiful Where streams of abundance flow Blessed be Your Name Blessed be Your Name When. I Give You My Heart. I Give You My Heart Lord with all my heart I worship You This is my desire To honor You Lord with all my heart I worship You. Lord Reign In Me Over all the earth You reign on high Every mountain stream every sunset sky But my one request Lord my only aim Is that you’d reign. 10,000 Reasons Bless the Lord O my soul O my soul Worship His holy name Sing like never before O my soul I’ll worship Your holy name. I’ve Got the Joy 1. I’ve got the joy, joy, joy, joy, Down in my heart, Down in my heart, Down in my heart. I’ve got the joy, joy, joy, joy, Down in my. “ I Surrender All”. 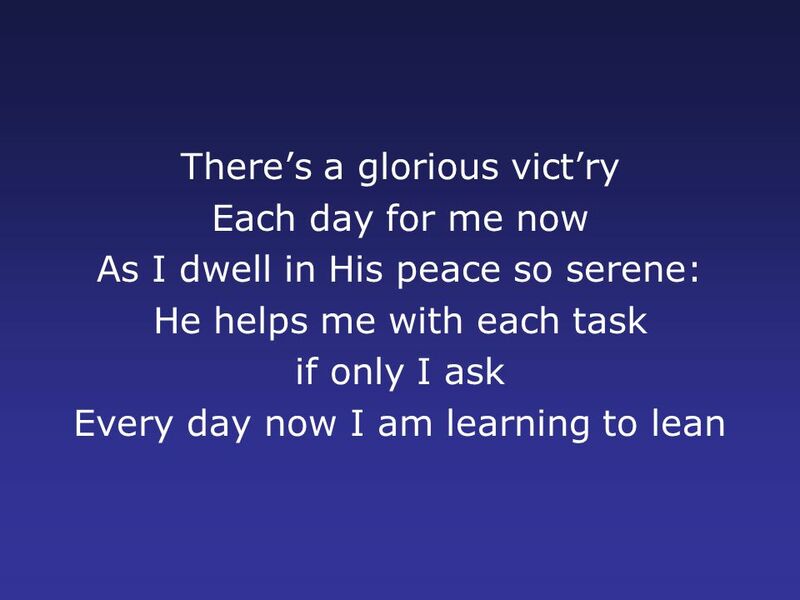 Verse 1: “ I Surrender All” All to Jesus I surrender; All to Him I freely give; I will ever love and trust Him, In His presence daily.